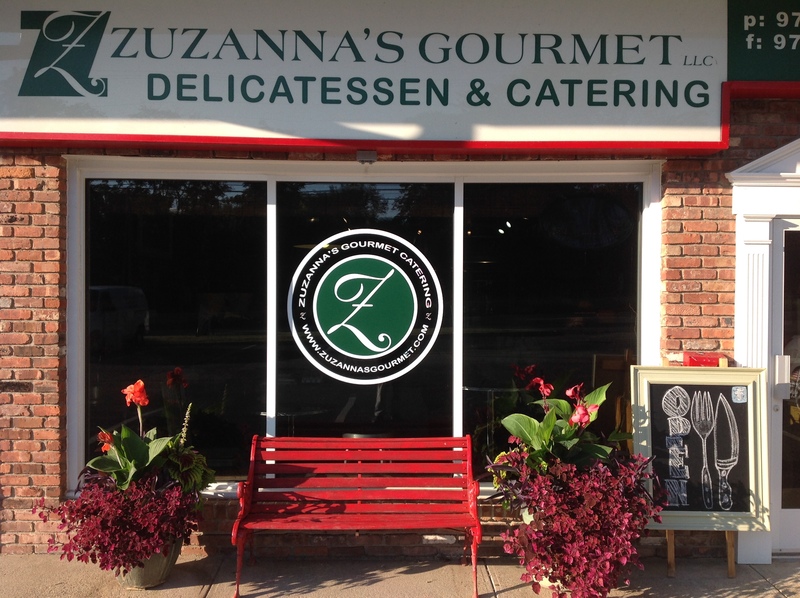 Zuzanna’s Gourmet, LLC is a small family-owned delicatessen & catering business. The store officially opened for business in August 2008. The proprietor, Zuzanna Baranski is a trained graduates of the prestigious THE INSTITUTE OF CULINARY EDUCATION in NEW YORK. After her apprenticeship at JEAN-GEORGES a five-star flagship restaurant in Manhattan Zuzanna Baranski and husband Andrzej opened Zuzanna’s Gourmet. They specialize in restaurant quality gourmet freshly prepared foods. Zuzanna’s Gourmet is a full service specialty shop offering a multitude of traditionally prepared European foods and products. Zuzanna’s food creations is perfect for any event and occasion: from business lunches to lavish recepions. Here, we feature homemade food, from scratch including soups and desserts. Our House Chicken salad is exceptional. It’s both spicy and sweet, prepared with red peppers and celery, with honey-mustard vinaigrette. Selection of our homemade specials is available on a daily basis. Most popular is our Turkey Meatballs, Meat Lasagna and Eggplant Parmesan with our homemade marinara sauce, and fresh mozzarella. Sometimes the special features stuffed cabbage and succulent pierogies, the Polish version of filled dumplings. But the specialty of the house is panko-crusted chicken breast , and healthy quinoa salad, with sugar snap peas. We offer a wide range of paninis and sandwiches. Our paninis are made on a ciabatta roll, an Italian white yeast-bread made with wheat flour. There are irresistible homemade desserts: cappuccino brownies, bread pudding, chocolate-hazelnut almond biscotti, pistachio cookies and tiramisu. Pick up something delectable to take home. Guaranteed, you’ll be back because, as Zuzanna will tell you. “This is real food”.